First there was the replica of Lyons, France, being built in Dubai; it would be a replicant city "of about 700 acres, roughly the size of the Latin Quarter of Paris," and it would "contain squares, restaurants, cafes and museums." 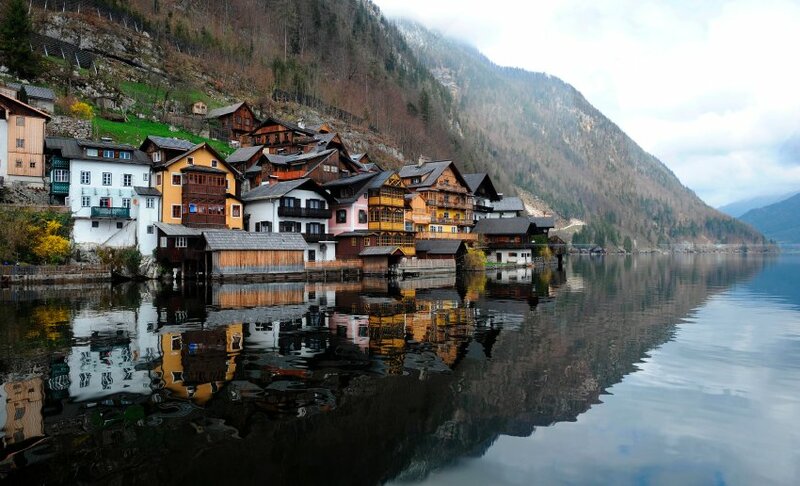 Now, though, we learn that a Chinese firm has been "secretly" copying an entire UNESCO-listed village in Austria, called Hallstatt. Residents of the original town are "scandalized," Der Spiegel reports, by these "plans to replicate the village—including its famous lake—in the southern Chinese province of Guangdong." After all, in addition to the uncanny experience of seeing your buildings, streets, sidewalks, and even trees repeated on the other side of the world, "creating an exact duplicate of a city may not be legal, according to Hans-Jörg Kaiser from Icomos Austria, the national board for monument preservation under UNESCO. 'The legal situation still needs to be examined,' he said. Building new structures based on photographs is legal, he explained, but owners must give their permission for them to be measured." Indeed, Der Spiegel adds that "'spying' by Chinese architects would not have been conspicuous in Hallstatt, where there are up to 800,000 visitors each year who 'photograph everything and everyone,'" according to the town's mayor. This constant, everyday documentation—an archive of the quotidian, rivaling Ulysses—could thus be put to alternative use, not as a seed for nostalgia or as a collection of personal souvenirs, but as a means for generating construction diagrams. Take a look at some photos of other Chinese duplication spaces, including the photo-friendly Thames Town, modeled after an English village ("when Thames Town was completed in 2006 not everyone was happy about it," we read. "One English woman complained that her fish and chips restaurant had been copied in exact detail").